It was a two-day week this week, which one might think would be a breeze. One would be wrong. All things considered, the kids were pretty amazing. And yet, here I sit at 8pm on a Tuesday night after only working for two days and I'm ready to crash. Fascinating. I wanted to share some good stuff from our classroom this week and some possible changes around here, so I figured I'd write quickly before getting back to that crashing and sleeping bit. In regards to my students, most blog readers know I use quick writes on a daily basis in my classroom. Often these quick writes are images, poems, or videos. Many them also serve as what I'd consider life lessons. Today's quick write was on what we put out into the world and what comes back to you. I began with this Twitter post from author Andrew Smith. The boys in that post are my students. The year has been crazy and I hadn't gotten around to teaching them how to Tweet until Friday. It's always an option, never required, and those two asked to tweet Andrew. There was no way we could have known he was having health issues and the impact their tweet had. Thus, I shared his post and this video today for our quick write. I want my students to realize the impact of little things in this world. They think that changing someone's day involves huge decisions, but I'm a firm believer in little actions, little bits of positive actions, can make a huge difference in this world. Now I just have to hope that my students absorb it and use this lesson for good. In sharing my blog with my seventh grade students this week, one boy pointed out that at the top it still says, "Exploring literacy and reflection in the fifth grade classroom." Well, crap. I haven't taught fifth for three years. As I pondered that, he went on. He asked how my blog would change with this fiction book I'm writing. The kids know it's a romance book for adults, not kids. (And yes, they've asked to read it. And no, I've said absolutely not.) One asked how I would share that side of my writing life with the world. The answer? I have no idea. While I've been posting here sporadically at best, I still love to blog about my classroom. So that won't be going away. What I don't know is what this blog will look like in a few months. I'm currently around 85,000 words into my book. After doing this much writing, it will absolutely be published in some form one day. Whether that is self-published or traditional, I have no idea. I will need to write about that stuff more as I get to it, and I want to share my publishing journey, as well as my revising journey, I just haven't figured out how that will mesh here. At the bare minimum, the blog needs a bit of a facelift so the "fifth grade" line could be removed. All that will be coming, I just have to find someone that can do it. (The original creator of this design no longer does this work.) If you have any thoughts on any of these topics, please let me know. As I type this I sit in my home in Illinois where the weather has decided that fall was here long enough and winter has entered in with a flourish and a bit of snow. Having just returned from sunny California, this feels like a cruel joke. Originally I had planned on packing today and leaving tomorrow for Houston, NCTE, and a whole lot of friends. Instead after the death of my father-in-law last week, I've cancelled attending NCTE for this year and am choosing to spend time with family instead. It's the right choice, but it didn't come easily. Especially since I was going to be part of three great presentations and one breakfast. Since I can't be there, let me share a little bit about each below in the hopes that those of you attending can go check them out. I LOVE that NCTE holds this breakfast each year to give the chance to first time attendees to meet with folks that are veterans of the conference and get some advice on how to make the most out of their time there. I was honored to be asked to host a table and am incredibly sad I won't be there. However, if you are a first time attendee, don't miss this breakfast Friday morning. There are amazing friends hosting each table, as well as Donalyn Miller and Ernest Morrell will be speaking. Check this out! Classroom Book A Day (Jillian Heise created this community, modeled after Donalyn Miller's Book a Day on Twitter. Learn more about it on Jillian's Facebook Page HERE.) My seventh graders consistently list our daily picture book as their favorite part of Language Arts. March Book Madness (nod to Tony Keefer and Scott Jones created this one. Find more about it HERE.) I have participated in this since the first year. My class gets pretty passionate about the brackets each year. Picture book 10 for 10 (brainchild of Cathy Mere and Mandy Robek. Find more out about this HERE.) This is an area for me more so than my students - creating a community of educators that I can learn from. Global Read Aloud (Pernille Ripp's creation. Find more HERE.) 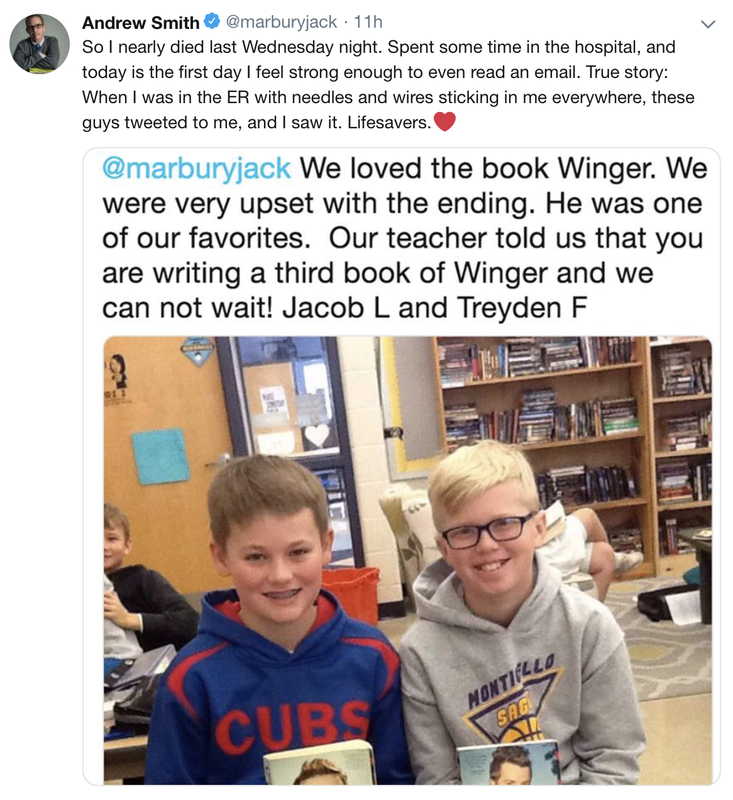 Bringing the world together around a book is pretty amazing. Mock Newbery and Mock Caldecott's that I've written about here before. And the easiest way I create a reading community in my classroom - books. Surrounding kids with books. Talking about books. Crying with them at the end of Andrew Smith's Winger. Debating the merits of the Divergent series. Having hushed conversations about how they've never seen themselves as readers, but the Bone series and the Amulet series has helped them to reshape that idea in seventh grade. Our conversations that move me to tears like this fall when we read Matt de la Pena and Loren Long's Love. A brave seventh grader saw the page with the piano that had the boy and dog under it. He spoke up, stating why that image did indeed show love, as well as the absence of love, and why he understood that. My students astound me on a regular basis. Our reading community in our classroom makes me want to go to school each day, to talk with these amazing middle school kids, and learn from them. I am certain the roundtables in this Nerdy session will be filled with amazing ideas to enhance the communities you have. Oh, my heart. I was so excited for this session. Each educator will be paired with a picture book author and will share their experience with picture books and Classroom Book A Day at their tables. 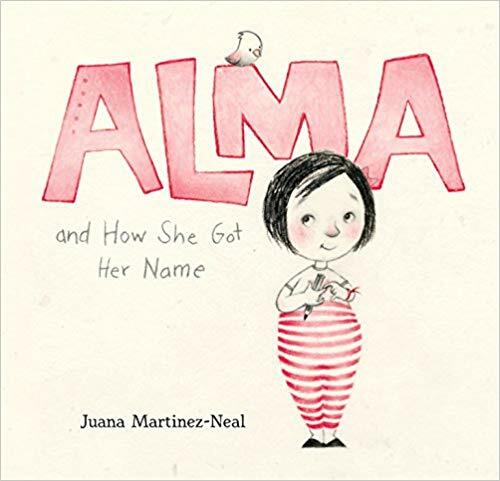 I had the honor of being paired with Juana Martinez-Neal and her brilliant book, Alma and How She Got Her Name. I read this book both last year in the spring and this fall, pairing it with THIS video from Hank Green. My favorite line from the video is You make you. I pair that idea with the line in the author note from the book, What is your name? What is your story? In middle school I want to empower my students that if they don't like who they've become, they can change that. They have the power over their actions. Picture books let me have these conversations on a daily basis and I'm beyond grateful to authors like Juana Martinez-Neal for writing books that contribute to that conversation. This is my desktop on my laptop, a inspiration board for my book. This final sessions taps into a passion of mine that I credit completely to NCTE. It was after returning from my first NCTE that I began writing publicly, starting this blog. I cannot put into words how terrified I was of hitting publish for the longest times. That led to writing for Nerdy Book Club, then several submissions into professional development books, then writing for Choice Literacy. 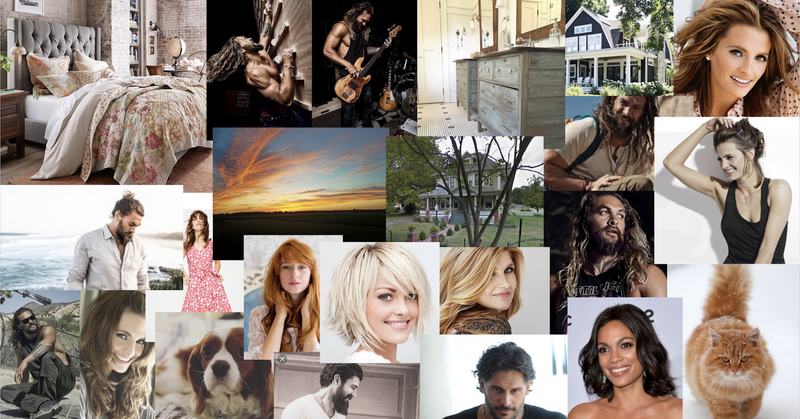 Nonfiction writing led to dipping my toe into trying to write fiction and in April of this year I began writing a romance novel for adults. It was just supposed to be for me, to be fun, and almost 83,000 words later, it absolutely is. Becoming a writer lets me talk to my student writers on a different level. I understand their struggles so much differently. I now have a writing club at lunch on Wednesdays and any student is welcome to come in, bring something they're working on, and eat and write with me. Writing completes me and brings me peace. This roundtable was going to be a chance for anyone who is anywhere in the process of writing to ask questions. If you have any, please send them my way. So if you are headed to NCTE in Houston, please check out some of these sessions. I know from the planning that they are going to be fabulous. If you have any questions for me, send them my way. Hugs going out to all of my NCTE friends. I'll miss you desperately this year, but can't wait for Baltimore next year. Have a great time, everyone. 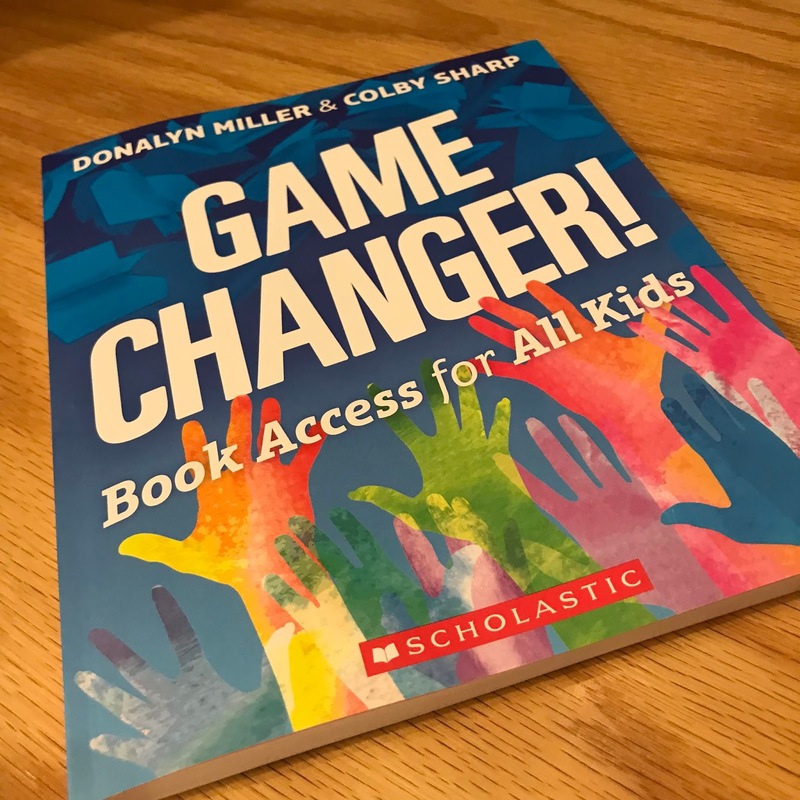 GIVEAWAY - In honor of NCTE and two folks I was looking forward to seeing - Donalyn Miller and Colby Sharp - I'd like to giveaway two copies of their new book, Game Changer. This book is so important in our profession right now. It talks about access to books and why it is critical to students. Believe me, you need this book! If you want to be entered in the drawing for a copy, please put your name and email in the Google Form below. I'm honored to have contributed to this and in awe of everything they accomplish with this beautiful book. It’s been a week. Or a few weeks to be more accurate. As I have done in the past, as I advise my students to do, I’m writing my way out of a time of great upheaval. We have lost one of our pillars. I think of my parents, of Chris’s parents, as our pillars. The foundation of our family is built upon them. When we first married, there were even more of these pillars holding us up - my grandmothers, Chris’s grandmother, my great-aunt and great-uncle, and a couple that were so ingrained into our family, you wouldn’t know we weren’t actually related. Over the years, we’ve lost most of the pillars of that first layer, my grandparents’ generation. And, last weekend, we lost the first pillar from our parents’ layer. Chris’s dad found out this fall that he was having some health issues. They progressed far quicker than any of us ever dreamed and, early Saturday morning before heading to watch Luke run State, we got the news we were not prepared to hear. When I’ve lost someone I’ve loved over the years I’ve often written poems or essays about them, sharing what I’ll miss, what memories I’ll hold close, but right now this is just too fresh and I can’t. I’m not sure when I will be able to. Len was a pillar of our family and without him, we are all less sturdy than we were just a week ago. The world is a little less colorful because his humor and love of a good pun has gone. He was solid steadfast, and true. Like my own dad, he would absolutely hate anyone being maudlin or overly sentimental in his memory, so I’ll keep this short. The people we love are gone all too soon and often we are unprepared to say goodbye. I’m grateful to have known Len for so many years; grateful Chris got a chance to head to California just over a week ago to see him; grateful for his love of movies, sports, and Frank Sinatra that he passed to Chris who has, in turn, passed on to Luke and Liam. For those of you I was going to see at NCTE, I apologize in advance, but I’ll be missing you this go around. I’ll be celebrating the great things in education from afar this year. This loss has been hard, but it has also been filled with reminders of how amazing people are - from family who we always love, to kind students and families that have left me sweet messages or more, to an author helping me out with a special gift since I can’t see them, to Southwest Airlines refunding my NCTE ticket cost, to NCTE refunding my registration, to friends understanding why I had to bow out, to...to...to. Today more than ever, I’m filled with hope. While our foundation has cracked, the people who built that foundation for my family fill me with strength - whether they are still here or have already gone. And while it hurts like hell to lose them, I am grateful for the lessons they taught me while they were here and the lessons I will continue to absorb long after they are gone. Godspeed, Len. You will be missed.